Are you going to go to Japan? This is your travel tips! 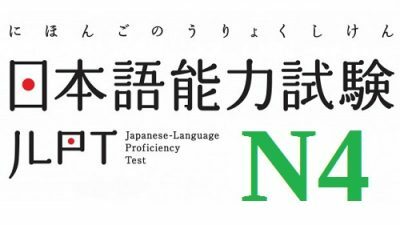 We will be starting a JLPT N4 Prep Course from July 22nd – September 24th! Please register now before you forget! The lessons will be lecture-style and you will have an opportunity to ask questions to the teacher on the exclusive Facebook Page offered only for the students of this course. For those of you who participated in the N5 prep course, the N4 course is the same kind of style! After each lesson, the video recording of the lesson will be posted on the Facebook Page for you to review. Learning Materials, etc. will also be posted on the Facebook Page! The teacher (Matsuda Sensei), the cost of the course ($100) and the lesson time (Sunday and Monday at 10 AM Japan Time) will all be the same as the N5 course. There are 20 lessons in this course, meaning the cost of each lesson is ONLY $5!! You can sign up for the N4 course by clicking the button below and paying the one-time fee of $100. We also have JLPT N5 course!